Smile and Wave: A Little Bit of Happy News! A Little Bit of Happy News! 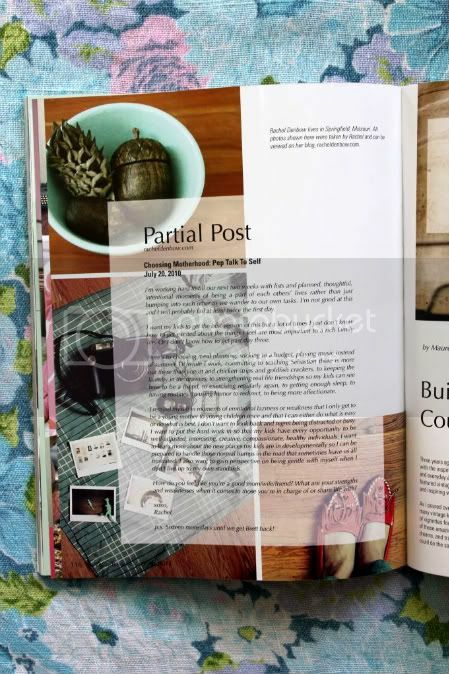 When I was invited to contribute to this quarter's issue of Artful Blogging a few months ago I had to read the e-mail twice to make sure I wasn't making it up in my head! 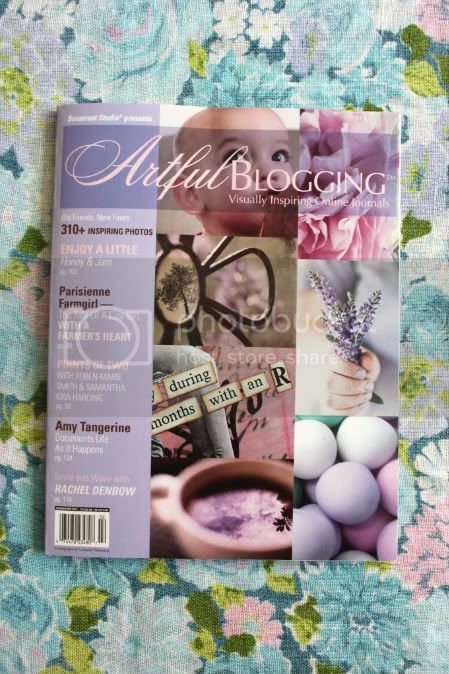 I've kind of had a secret wish to make it onto the pages of Artful Blogging since they first started showcasing some of my favorite blogs in 2007 and to make things even sweeter, Ruby's little mug made the cover! I got a little more serious than I usually get in this space as I reflected back on what blogging meant to me. It's been quite the wild ride these last three plus years and blogging has played a major role in the way my family's story has been shared and how it has developed. It's been a place of inspiration and a way to share my favorite ideas. It's challenged my creativity, introduced me to some fantastic women, and taught me how to crochet a granny square (among other things)! It's afforded me the built-in community I've needed during these sometimes lonely years at home with little ones and shown me how to be a better mom. It's affirmed and encouraged me in times of self-doubt when one or both kids were causing me to question our parenting methods and allowed me to feel okay about things when I realized I wasn't the only mama who occasionally used bribery to get her son in the bath. Blogging has not only documented our lives these last few years, it's allowed me to be at home with my children while contributing to my family's financial needs. Like so many other bloggers, it's been a platform for sharing new product, introducing online classes and e-courses, and featuring sponsors that have chosen to advertise with Smile and Wave. It's the best kind of job! It was a pleasure to have the opportunity to reflect and share how much blogging has meant to me these last few years but mostly I'd love to thank you, my fantastically supportive and loyal readers. Your comments, shared stories, and general presence have meant the world to me and made this place pretty special. It wouldn't be the same without you! ADDED: I have had a number of people ask where to purchase this issue and I'm not 100% but I think all major bookstores carry it (Barnes & Noble, etc.) Can anyone who has seen it there confirm this? You can also subscribe on their website. See links above. Thank you for all of the sweet words! It means a lot! I saw the mag on friday nite and loved to read the article, I even recognize the photo of you lil gurl on the cover haha. Congrats!! this is AMAZING! seriously, congrats girl!!!! Oh my word, i read this! Congrats, congrats, congrats!!!! What an honour you deserve! Can't wait to get it. oh so proud of you lovely lady! gosh, that is awesome! you really are an inspiration. really. I admire you a lot. I'm 24, and one day I really hope to be a momma. I want to believe that I can balance pursuing my artistic dreams while also raising my babies well in the future. You really do it gracefully, my friend. You give me a little hope for my future! You are too sweet! Thank you and I have no doubt you're going to be a stellar mom!! Congrats and Ruby looks soo cute on the cover with her big bright eyes :) Wow and I never knew this mag existed...must find! I didn't know this magazine existed, but now I'm going to check it out for sure! Congratulations. That's such a great keepsake with her pretty little face on the cover. Congrats on the feature. It's awesome, and I bet it's validating to be recognized in a mag you love. congratulations! you deserve to be in that magazine! oh congrats rachel! what an honor!! and you most certainly deserve it :) sounds & looks like an inspiring article! So happy for you. I LOVE this magazine, SOO much eye candy. I am so proud of you and all of your achievements!! It is just amazing how much you have changed my life. I start off every morning checking your blog to see what you guys are up to. It makes my day. It just helps me to know there is a momma out there with small children that I can relate to. It makes me feel like I am not alone. So thank you for that!! Continued wishes and prayers that all of your dreams come true!!! Oh wow, congrats, Rachel!! 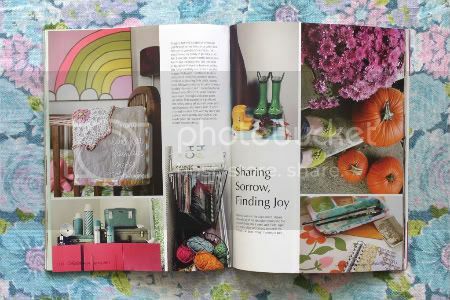 I love Artful Blogging and you definitely belong on its pages. Now I need to run to the bookstore and pick up this issue! love this! congrats, friend! 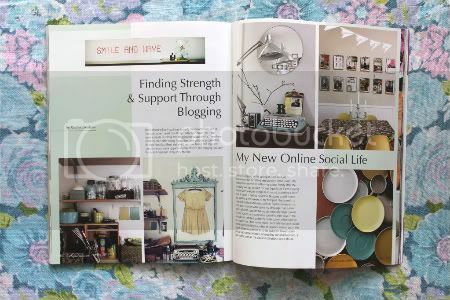 hopefully your article and sweet words about blogging will be an encouragement to others! Congratulations! And of course it made the cover--Ruby's mug is the cutest on the internet! How exciting! I LOVE that magazine. So inspiring! What an honor, Rachel! Congrats! Where could I score a copy of this magazine? no one could be more deserving! 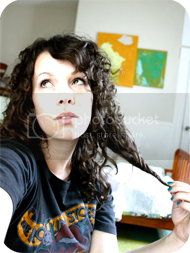 you have a sweet heart and your blog is so artful! can't wait to get my copy!! Where can I find a copy? I haven't seen it before, but it seems right up my alley! I think you can find them at major book stores..Barnes & Noble? Can anyone else confirm this? congrats!!! ruby is such a doll! YAY! gonna get my copy and yes, it can be found at most major bookstores! I agree with everyone, you definitely deserve to be there! Congrats! 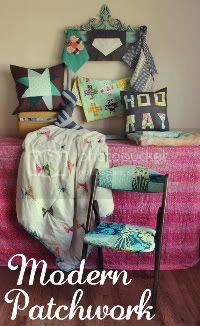 I love reading your blog...you deserve the recognition! Give yourself a huge pat on the back Rachel. You are a daily inspiration to me! Yes, they have it at Barnes & Noble. That is so wonderful. I love all of the Stampington magazines. I like to go to Barnes and Nobles a few times a month and sit down and just read. Sometimes I wind up look at all of them a few times. 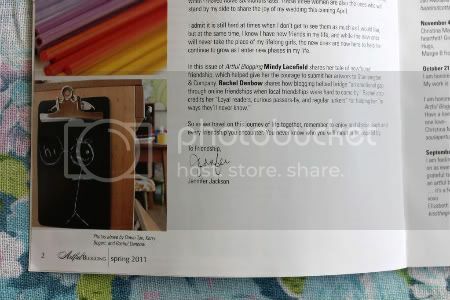 What a dream come true to be published in one of their mags. CONGRATS! That's exciting and the spread looks great! yay! so cool that we're in the same issue together. i have yet to see it, but your piece looks great online! I know! It was fun to recognize someone else in that issue! Mine just came on Thursday so I'm sure yours is close! hey, congratulations! you deserve it. your blog is one that I've consistently enjoyed for years, it always feels so authentic to me in a way that's really hard to find in the online world. 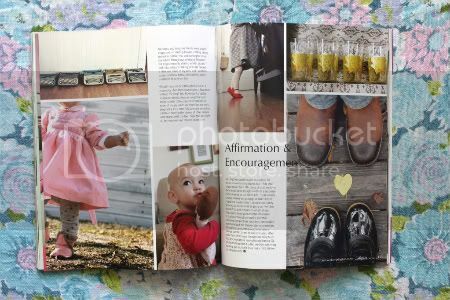 i love the mix of fun and serious, craftyness and parenting, and of course the beautiful photos. i'll definitely pick up the magazine the next time I see it! and yeah, I know I've seen it at borders, barnes and noble, pretty much any big retailer. Well deserved! I have been following since the beginning. Just got bold enough to start really commenting :) What advice do you have for a new blogger that is looking to attract readers? congrats!! i haven't seen this issue yet but i know barnes and noble and borders both definitely carry it and probably michaels, maybe joann's fabric. i will be picking this up soon and can't wait to read the article. So many nice comments! Thank you, everyone! Your sweet words are appreciated! i always read this at b&n...it's the magazine i go to first. i love peeking in on what you are doing. I'm right there with you Rachel. Blogging has added so many wonderful things to my life. It's helped me feel connected to people in a way that I've never known before. I had always thought of myself as a loner girl with little to no friends, a bit of an odd ball that couldn't get along in social situations. A lot of that has changed since I started keeping my blog. My self confidence has grown, my writing and photography skills have improved and I finally feel like I live a full of friendship. I'm so excited that your little lass made it to the front cover - what a star! I'm going to try and hunt down a copy of this issue! 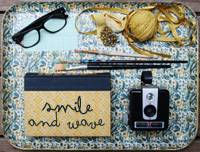 I love all the Somerset mags, but Artfful blogging is by far my favorite. Each of those magazines bring so much inspiration, how could you not dream of someday being in it! That's such an amazing accomplishment! Awesome job Little Mama, so inspiring for all of the Mama's looking from the outside in! Now that you can cross that one off, what's next? Oh yay!!! So cool that your little girl is on the cover.